It’s that time of the year, when temperatures soar and air conditioning repair in Chatsworth becomes a top priority for homeowners and businesses. Don’t wait a minute longer before calling our certified, highly trained and trusted professionals that offer 24 Hour Air Conditioner Service in Chatsworth to assist you. Need a reputable Air Conditioning Company? We know Quality Counts, Customer Satisfaction is Guaranteed when using us. We provide cost-effective solutions to broken down air conditioners that are not blowing cold air or just simply don’t turn on at all. We provide dependable air conditioning and central HVAC solutions. Maintenance, installations and upgrades and repairs. We work with homeowners, businesses and property managers to take care of their comfort needs. Whether you need a residential or commercial unit serviced, repaired, or replaced, you can count on our NATE certified technicians to come promptly to your home. We even provide same day service when necessary. Our friendly, efficient service techs will ensure there are no issues with your air conditioner upon completion of their repair to your system, so call on us to repair your air conditioner. We provide all of Chatsworth with the finest quality air conditioning service and products from the industry’s leading manufacturers. Providing superior A/C service, repair and installation is our top priority. Our technicians receive continual training to stay up to date on the latest techniques and trends. We specialize in cooling system installation from RUUD, Trane and Lennox, but also repair all major makes and models. Pacific Coast is the leading AC Repair contractor in Chatsworth with over 10,000 satisfied customers. When the temperature in Chatsworth reaches the hundreds and above, the only thing keeping you between the outdoor scorching heat and humidity is your air conditioning system. We have trained AC Repair Specialists that know how to get your air conditioner to blow cold air again. Whether your home needs a new unit because the current unit is broken and beyond repair or if you’re seeking a new unit in order to lower your monthly utility bills, we can help you. Perhaps you have a functioning unit and would like to make certain it stays that way- sign up for a seasonal AC Tune-up. We are locally owned and operated and have been servicing the area for over 20 years, so you know you can trust us with all of your air conditioning needs. The Best AC Service Available in Chatsworth ! We have been serving Chatsworth for more than 20 years. We are proud to be a locally-owned and operated company, and understand the importance of treating our customers the right way. Give us a call to schedule your Air Conditioning Repair today! We are your local air conditioning repair and service experts in Chatsworth, CA. You can trust our team of professional air conditioning repair experts with your next service or installation. We have great deals on annual maintenance that can help protect the life of your hard working AC unit. The heat in the Chatsworth area can be brutal, so don’t take your chances with whether or not your AC is running efficiently or without problems. Our commitment to customer satisfaction is unmatched by other air conditioning companies. 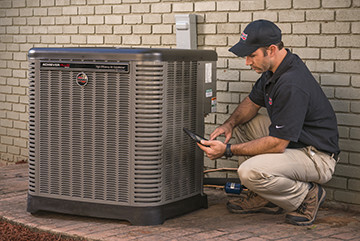 We aim to improve overall system performance through accurate A/C repair and annual maintenance. If your cooling system breaks down unexpectedly, We are available 24 hours a day for emergency service. With 100+ degree warm summer days, it is imperative to have an efficient and reliable air conditioning system. 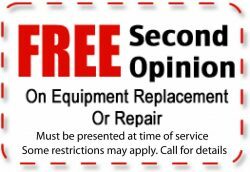 Contact our comfort specialists for the best A/C repair and service in Chatsworth ! To schedule service online click here to schedule service. That’s why we are always ready to offer expert advice and answer whatever questions our clients in Chatsworth have about replacing their air conditioners. We’ll also walk you through the steps of the replacement process and help you schedule it for a time that’s most convenient for you.